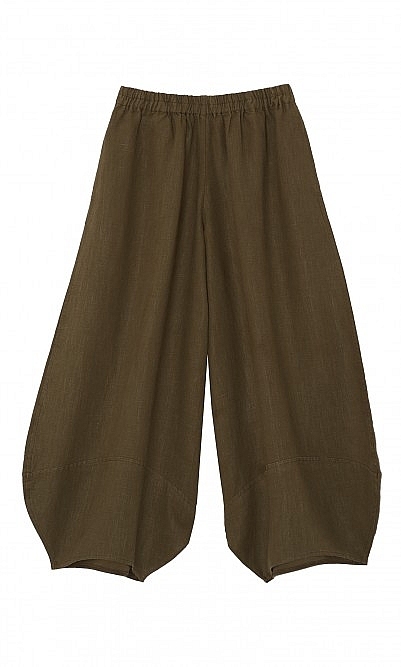 Khaki coloured pants with a super wide leg and large patch-pockets creating a modern utilitarian look. Elasticated waist for a perfect, comfortable fit. Fabric and care: 100% Linen. Gentle machine wash. These fabulous trousers are fun and very unusual. Definitely not for the conservative dresser. The material is a good weight and the colour is very adaptable.